I love love love it. 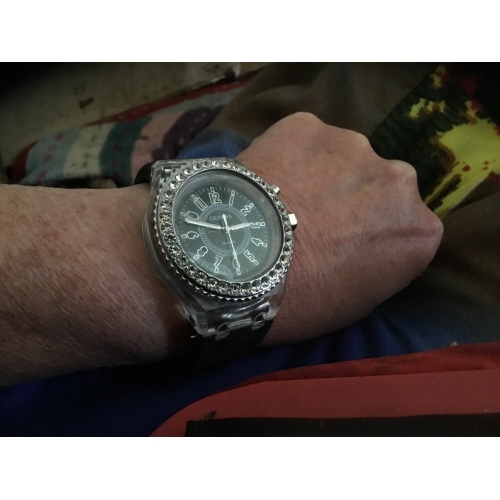 I love large watches and this is perfect. The colors are great. Just wish there was a button to keep the colors on or a button to keep it on one chosen color. Had lots of compliments on it. Going to buy the white one too! I love love love it. I love large watches and this is perfect. The colors are great. Just wish there was a button to keep the colors on or a button to keep it on one chosen color. Had lots of compliments on it. Going to buy the white one too! 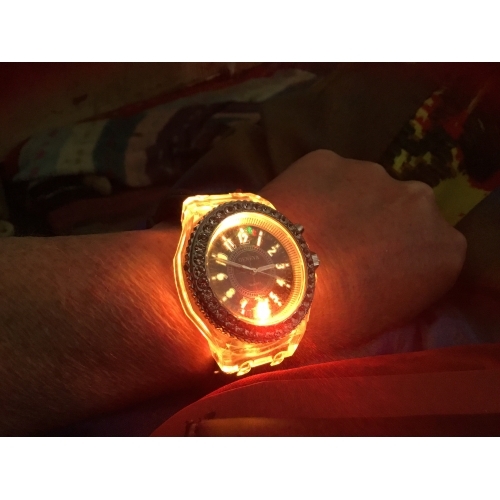 I think this watch is cooler than I thought, although I dont like plastic band, I do like how it lights up in multiple colours just by a click of a button. 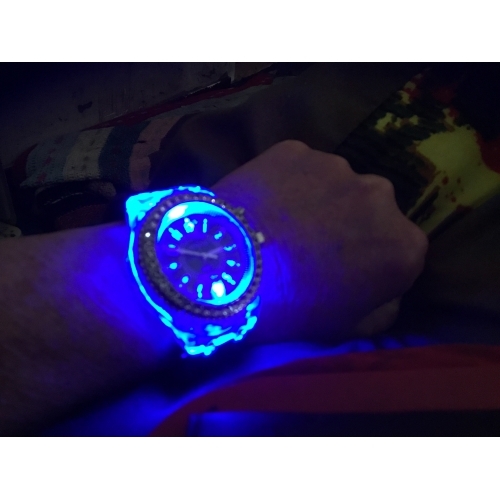 I think this watch is cooler than I thought, although I dont like plastic band, I do like how it lights up in multiple colours just by a click of a button. Produto muito bom, exatamente como na foto ainda vem uma pilha de reserva, demorou um pouco, mas chegou e chegou perfeitamente. Produto muito bom, exatamente como na foto ainda vem uma pilha de reserva, demorou um pouco, mas chegou e chegou perfeitamente.